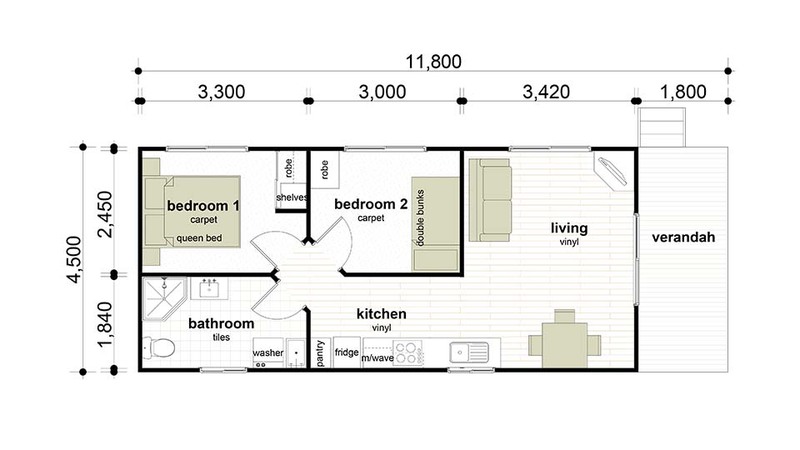 The Aspley is a compact two bedroom plan with a smart galley style kitchen. Laundry in the bathroom makes for efficiency in time and space. 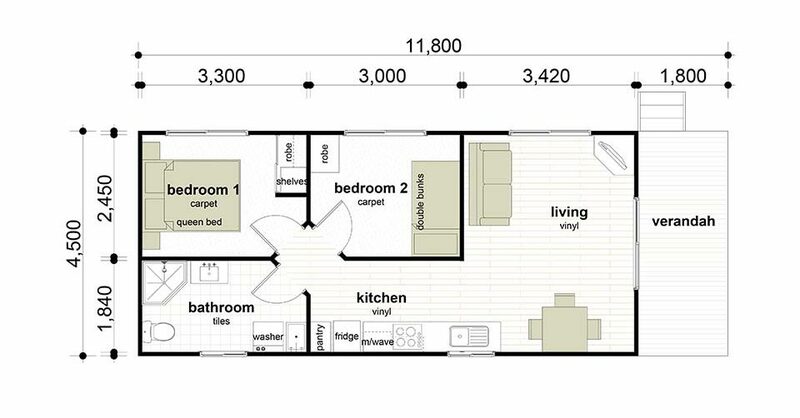 Relax on the lounge or enjoy the view from the front verandah.